Nidderdale & The Yorkshire Dales offers a great variety of landscape – from rolling green meadows, an abundance of mature woodland, a limestone gorge, purple heather covered moors and of course miles of dry stone walls! 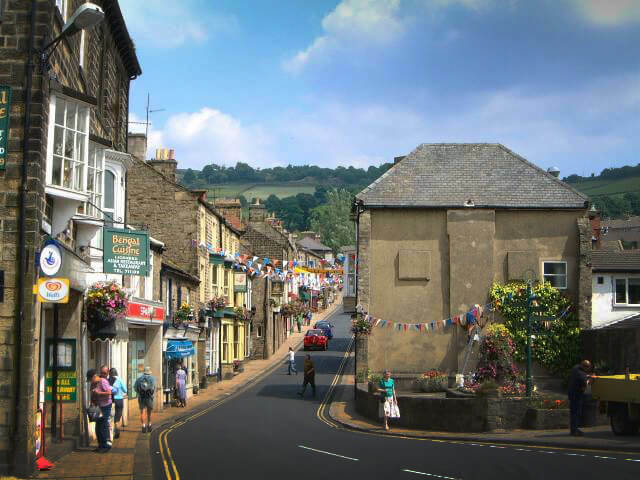 Pateley Bridge, around 5 miles away from the park, was voted Britain’s Best High Street in the 2016 awards and is extremely popular with our residents, located in the heart of the dale and full of character. This Yorkshire Dales village with its famous, narrow high street has a variety of tea rooms, cafes and shops as well as gift and antique shops . A Post Office, newsagent, bank, delicatessen, bakery, general store, England’s oldest sweet shop and two award winning butchers means it offers all you may need during a short stay. Ripon is around 9 miles and has a weekly market in the square, one the smallest cities in England, dominated by its Cathedral. 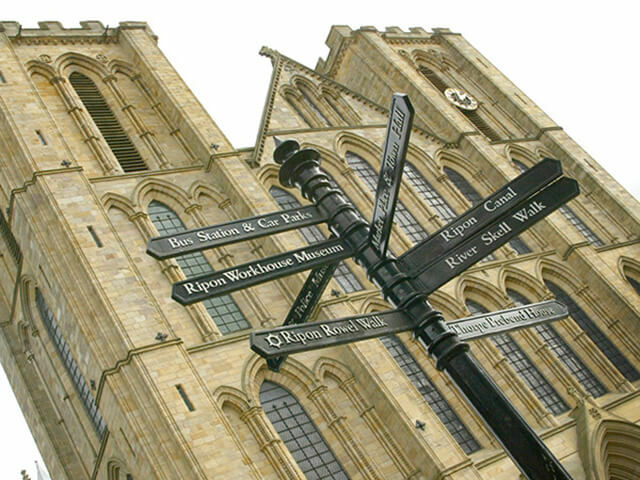 Ripon may be a small city, but it has all the benefits of contemporary living; a good selection of restaurants, fascinating shops and a wealth of cultural entertainment and events. Ripon has a market every Thursday, 4 supermarkets (Booths, Sainsbury’s, Aldi and Morrisons) a great selection of independant shops, several banks, a swimming pool, leisure centre and a Minor Injuries Unit at the Ripon & District Community Hospital. 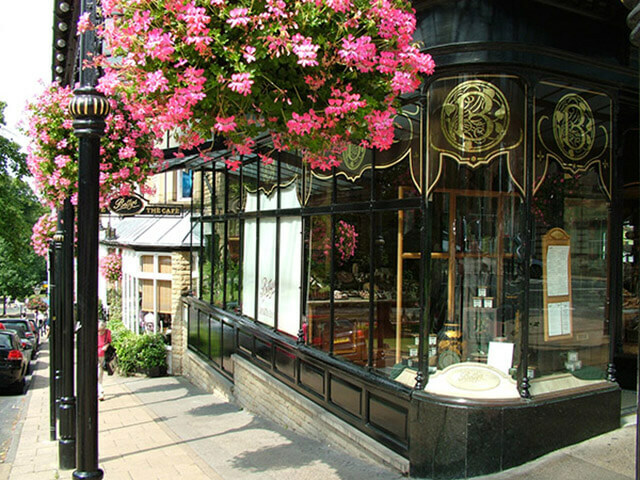 The Jewel in Yorkshire’s Crown – This elegant spa town was famous with the high society of Edwardian and Victorian Britain, and ever since it has been a popular location for visitors to enjoy shopping, spa and the gardens for which it is so well known. Harrogate is the perfect size to be easily traversed on foot, but still have plenty of shops, food and drink outlets and things to do. Both in and around the town centre you will find different areas with a character and feel of their own. Green spaces surround the town centre in the form of Harrogate’s Stray. Protected by law these 200 acres of grass give the town a unique and spacious feel that sets it apart from other towns of similar size and mean it is always possible to get away from the bustle of the shopping streets. Harrogate is home to an number of prestigious independent shops in its more select areas like James Street and the ever popular Montpellier quarter, but as well as this a selection of independent retailers with a love and passion for their business and customers can be found in the town in places like the eclectic Commercial Street. Harrogate’s reputation was built on spa waters, with countless springs under the town, many still visible in the Valley Gardens. Over the years the high mineral content of the waters became popular for therapeutic purposes, making Harrogate a popular venue for Victorian society, and spa tradition continues to this day. Knaresborough, Masham, Thirsk, Leyburn and Skipton and all nearby towns enjoyed by our holiday home owners. 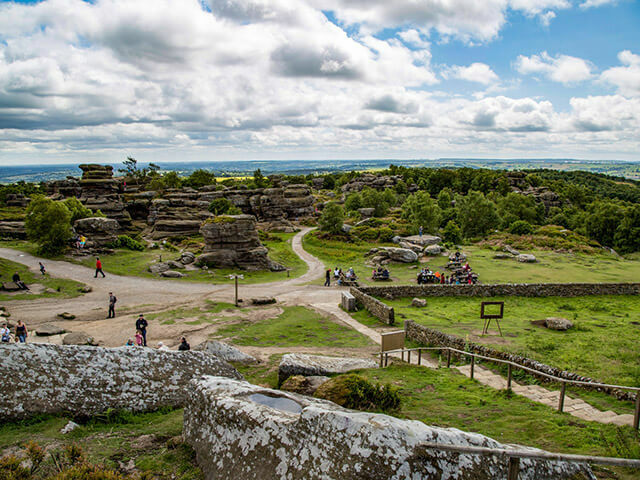 Brimham Rocks (2 miles) offers spectacular rock formations 320 million years in the making and stunning views. Fountains Abbey (3 Miles) and Studley Royal Deer Park and Water gardens is a world Heritage site and one of the National Trusts most popular attractions. The park is excellently located for walking in the Dales, being just off the Nidderdale Way, which stretches for 53 miles and takes in all of the dales scenery, although numerous other public footpaths lead away from the park. This Google Map shows just some of the larger attractions in the area.